What is Involved in Knee Surgery? How can Advanced Technology Help Me? Computer navigated total knee arthroplasty is a proven and useful technique to help plan, execute and document knee replacement procedures. 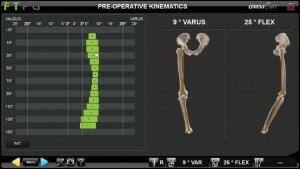 During the operation, the surgeon digitises preoperative information about alignment and instability and then plans the appropriate surgery in real time on the computer. The surgeon then places cutting jigs on the bone according to the accurate planning that has just taken place. 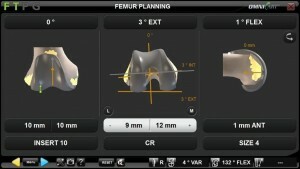 The advantage of computer navigated knee replacement is to improve the accuracy of the procedure, with potential improvement in both short and long term outcomes. Dr Coffey has been using computer navigation techniques in Knee replacement for over ten years and sees the technique as a useful tool in delivering accurate and safe surgery.